Betafite (of Hogarth 1977): Mineral information, data and localities. Named in 1912 by Antoine François Alfred Lacroix for the locality near Betafo, Madagascar. Redefined in 1977 by Hogarth and the IMA Commission on New Minerals and Mineral Names sub-committee on the pyrochlore group. Betafite was redefined in 1961, by Donald D. Hogarth and, betafite remained a species, but frequently with "anomalous" chemistry. Lumpkin and Ewing (1996) studied nine specimens historically labeled "betafite" and discovered that replacement and alteration was present in their samples. 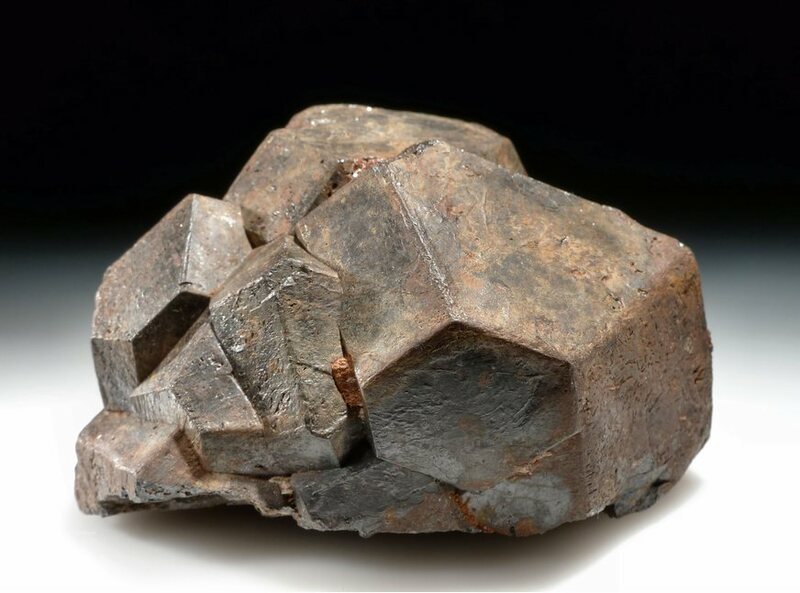 Titanium-rich minerals intergrown with pyrochlore super group crystals gave a false impression of the bulk chemistry of specimens. Atencio, et al. (2010) reported on the IMA-approved supergroup nomenclature and Christy and Atencio (2013) added corrections to the IMA report. True "Betafite" samples are structurally members of the pyrochlore group. Hogarth (1977) stated that the betafite subgroup has 2Ti ≥ Nb + Ta, however the formulas of betafites do not exactly correspond to pyrochlores and that difference has delayed their classification. The result of modern pinpoint analyses is that almost all specimens formerly labeled betafite are no longer members of that group/series. New analyses, including determination of H2O, OH, and F are necessary to identify the species of a particular sample. The root-name, betafite, was retained for historical reasons. Graph shows reflectance levels at different wavelengths (in nm). Top of box is 100%. Peak reflectance is 13.5%. Tangenite An impure "betafite" (s.l.) enriched with TiO2. Probably a mixture of several phases. Zircon 16 photos of Betafite (of Hogarth 1977) associated with Zircon on mindat.org. Apatite 5 photos of Betafite (of Hogarth 1977) associated with Apatite on mindat.org. Calcite 4 photos of Betafite (of Hogarth 1977) associated with Calcite on mindat.org. Fluorapatite 2 photos of Betafite (of Hogarth 1977) associated with Fluorapatite on mindat.org. Pyroxene Group 2 photos of Betafite (of Hogarth 1977) associated with Pyroxene Group on mindat.org. Leucosphenite 2 photos of Betafite (of Hogarth 1977) associated with Leucosphenite on mindat.org. Microcline 2 photos of Betafite (of Hogarth 1977) associated with Microcline on mindat.org. Quartz 2 photos of Betafite (of Hogarth 1977) associated with Quartz on mindat.org. Calciogadolinite-(Y) 2 photos of Betafite (of Hogarth 1977) associated with Calciogadolinite-(Y) on mindat.org. Biotite 2 photos of Betafite (of Hogarth 1977) associated with Biotite on mindat.org. 8.2.3.4 Stibiobetafite (of Černý et al.) A2-mD2X6-wZ1-n Iso. Lacroix (1912), Bull. soc. min. : 35: 84, 233. Lacroix (1914), Bull. soc. min. : 37: 101. Niggli and Faesy (1925), Zs. Kr. : 1: 366. Machatschki (1932), Chem. Erde: 7: 72. Palache, Charles, Harry Berman & Clifford Frondel (1944), The System of Mineralogy of James Dwight Dana and Edward Salisbury Dana Yale University 1837-1892, Volume I: Elements, Sulfides, Sulfosalts, Oxides. John Wiley and Sons, Inc., New York. 7th edition, revised and enlarged: 803-805. Frondel, C. (1958): Systematic mineralogy of uranium and thorium. U.S. Geol. Sur. Bull. 1064, 320-325. Hogarth, D. D. (1961): A study of pyrochlore and betafite. Canadian Mineralogist 6, 610-633. American Mineralogist (1961), 46, 1519. Vlasov, K. A., Ed. (1966): Mineralogy of rare elements, Vol. 2, 511-519. Hogarth, D. D. (1977): Classification and nomenclature of the pyrochlore group. American Mineralogist 62, 403-410. Junge, W., Knoth, J. and Rath, R. (1983): Chemische und optische Untersuchungen von komplexen Titan-Niob-Tantalaten (Betafiten). Neues Jahrbuch für Mineralogie, Abhandlungen, 147, 169-183 (in German with English abstract). Lumpkin, G. R., Ewing, R.C . and Eyal, Y. (1988): Preferential leaching and natural annealing of alpha-recoil track in metamict betafite and samarskite. Journal of Material Research 3, 357-368. Anthony, J.W., Bideaux, R.A., Bladh, K.W., and Nichols, M.C. (1997) Handbook of Mineralogy, Volume III. Halides, Hydroxides, Oxides. Mineral Data Publishing, Tucson, AZ, 628pp. : 54. Guoneng Chen and Grapes, R. (2007): Granite Genesis: In-Situ Melting and Crustal Evolution. Springer Verlag, 278 pp. National Geological Archives of China database, record no. X00041049; Xiaochao Hui (2014): Geochemical studies of the uranium-polymetallic mineralization at Huayangchuan, Shaanxi Province. PhD Thesis, Beijing Research Institute of Uranium Geology, 159 pp. Cámara,F., Williams,C.T., Della Ventura,G., Oberto,R. & Caprilli,E. 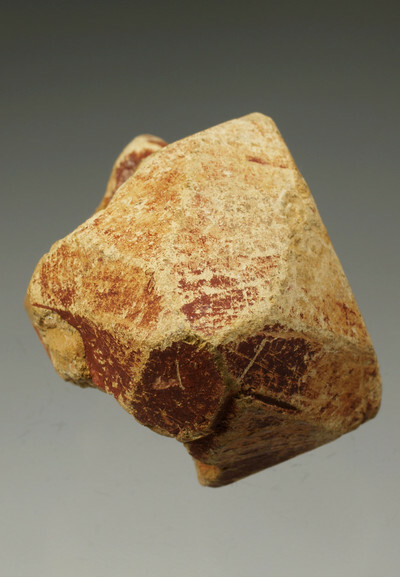 (2004): Non-metamict betafite from Le Carcarelle (Vico volcanic complex, Italy): occurrence and crystal structure, Mineralogical Magazine, 68, 939-950. Mattioli, V. (1987 c): Novità mineralogiche in Val d'Ossola. Riv. Mineral. Ital., 11, 1 (1-1987), 1-11; Mattioli, V. (1988): Minerali ossolani, 10 anni dopo: errata corrige e novità (II). Riv. Mineral. Ital., 12, 1 (1-1988), 39-44. Bourret, W. (1988): Uranium-bearing pegmatites of the Antsirabe-Kitsamby district, Madagascar. Ore Geology Reviews: 3(1-3): 177-191. Bourret, W. (1988): Uranium-bearing pegmatites of the Antsirabe-Kitsamby district, Madagascar. Ore Geology Reviews: 3 (1-3): 177-191. 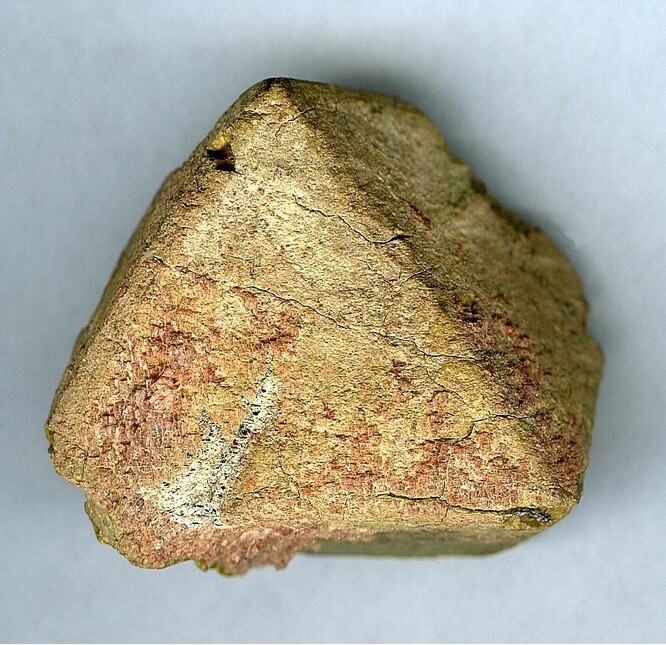 Knut Edvard Larsen collection (MM-2228); Bourret, W. (1988): Uranium-bearing pegmatites of the Antsirabe-Kitsamby district, Madagascar. Ore Geology Reviews: 3(1-3): 177-191. Orris, G.J., and Grauch, R.I. (2002): USGS Open-File Report 02-189.; Eby, G. N., Woolley, A. R., Din, V., & Platt, G. (1998). Geochemistry and petrogenesis of nepheline syenites: Kasungu–Chipala, Ilomba, and Ulindi nepheline syenite intrusions, North Nyasa alkaline province, Malawi. Journal of Petrology, 39(8), 1405-1424. Bezing, L. von, Bode, R. & Jahn, S. (2007): Namibia. Minerals and Localities. Edition Schloss Freudenstein, Bode Verlag, Haltern, 343 pp. (in English); USGS Open File Report 81-1666; Irene M. Abraham (2009): Geology and spatial distribution of uranium mineralisation in the SK anomaly area, Rossing area, Namibia, Master thesis University of the Witwatersrand. Hansen, G. H. (2001): Mineralene i Evje - Iveland. Published by Froland Mineral Center. p.23 / Pedersen, R. (ed) (2007): Iveland V: Gruvedrift. Iveland Bygdesogenemd. Bjørlykke, H. (1931): Ein betafitmineral von Tangen bei Kragerö. Norsk Geologisk Tidsskrift. 12, 73-88; Oftedal,I. (1940): On the occurence of tin in Norwegian minerals. Norsk Geologisk Tidskrift. 19, 314-325; Rocks & Min. : 15:77.
www.koeln.netsurf.de/~w.steffens/khib.htm; Mitchell, R. H., & Chakhmouradian, A. R. (1998). Th-rich loparite from the Khibina alkaline complex, Kola Peninsula: isomorphism and paragenesis. Mineralogical Magazine, 62(3), 341-353. Badanina, E.V., Gordienko, V.V., Wiechowski, A., and Friedrich, G. (2008): Geology of ore Deposits 50(8), 772-781.; Fialova, D., Kremplova, M., Hynek, D., Konecna, M., Kaiser, J., Malina, R., ... & Adam, V. (2013). Sosedka Pegmatite Metal Ions Composition Determined by Voltammetry. Int. J. Electrochem. Sci, 8, 7853-7867. Hewett, Donnel Foster & Jewell Jeannette Glass (1953), Two uranium-bearing pegmatite bodies in San Bernardino County, California American Mineralogist: 38: 1048; Murdoch, Joseph & Robert W. Webb (1966), Minerals of California, Centennial Volume (1866-1966): California Division Mines & Geology Bulletin 189: 104, 166, 392; Seaman, A.E. (1976), Pegmatite Minerals of the World. Hewett, Donnel Foster, Stone, J., and Stieff, L.R. (1969) The ages of three uranium minerals, Mojave Desert, California. USGS Prof. Paper 650-B: 85; Pemberton, H. Earl (1983), Minerals of California; Van Nostrand Reinholt Press: 179. R.W. Munschauer II and D.G. Bailey (2009) The 36th Rochester Mineralogical Symposium, April 23-26, programme abstracts, 27-28.
ⓘ Mitchell Mine (Hottinger Mine) ?